Gov. Pete Ricketts and State Sen. Bob Krist, tangled on a variety of issues Thursday, including Medicaid, property taxes , issues at the corrections department, and the economy. 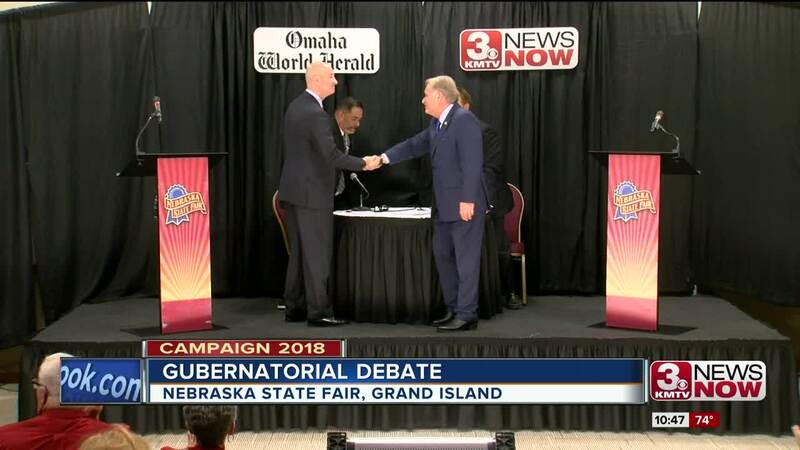 KMTV 3 News Now Anchor Craig Nigrelli was at the Nebraska State Fair in Grand Island Thursday to moderate the Nebraska gubernatorial debate along with the Omaha World-Herald's Mike'l Severe. One of the interesting aspects of the debate was when the candidates had a chance to ask each other a question. That's usually when the body blows are struck and things get testy. That was certainly true here. Sen. Bob Krist: "Paul Singer who has been called the Doomsday Investor, orchestrated the sale of Cabelas in Sidney. It cost us 2000 jobs and many many families who are hurting because of it. That man gave you a large amount of money for your campaign and your father's PAC a large amount of money. Why did you stand by and let us lose that jewel Cabelas and 2000 jobs?" Gov. 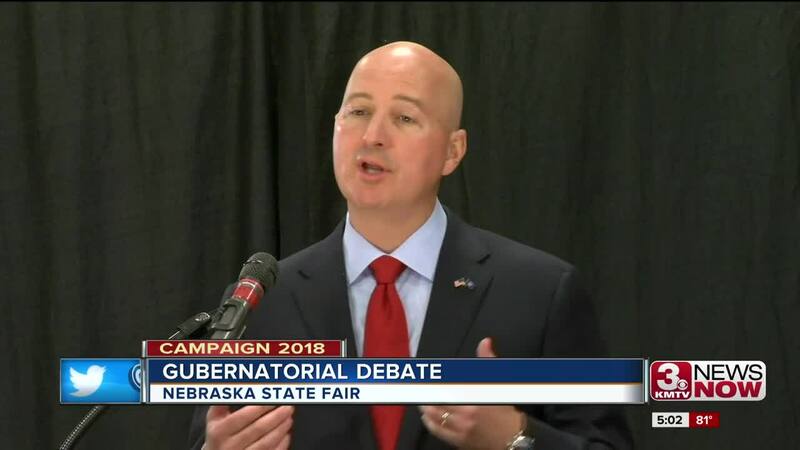 Pete Ricketts: "What the Senator is talking about is Bass Pro, a company based out of Springfield, Missouri. Basically negotiated with Cabela's to buy them. That was something between Bass Pro and Cabela's and I didn't have anything to do with that because that's a private sector transaction. Part of what we do in government is create the environment to be successful. But its really us to the private companies to decide what's best for the people associated with their companies." More than 400 people attended the debate. What can we expect between now and November? Lots of door knocking and a blizzard of ads. Following the debate, Craig hopped off the stage and caught up with both candidates to gauge how they felt they did. Craig: "Governor overall how do you think you did?" Ricketts: "I think the debate went well. We're doing great growing Nebraska. We've had the third highest wage growth, 17th lowest unemployment rate. We've maintained a million farm jobs for three years." Craig: "Were there any issues you felt you were strong on?" Krist: "I think on corrections. But you know 21 years in the Air Force, 10 years in the legislature, leadership, I'm better qualified than the governor. "